Overstock. 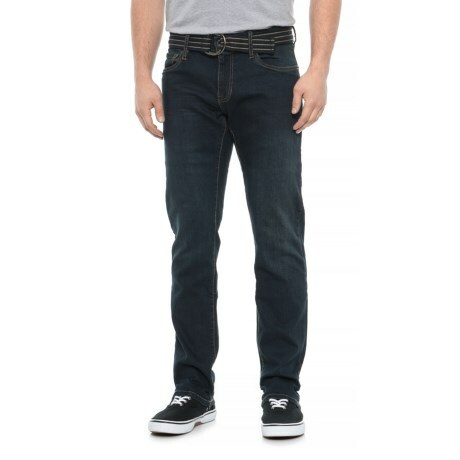 With comfy stretch denim fabric, these Weatherproof Vintage belted slim straight fit jeans offer movement-friendly appeal for the work site and the back yard. Available Colors: BLACK, OIL RIG, VIVID BLUE, DARK VINTAGE USED, MEDIUM TINT.